Osiris Orion - Domestic Disturbances from David Ruzicka on Vimeo. This show runs until the end of March. Come see the exhibit! 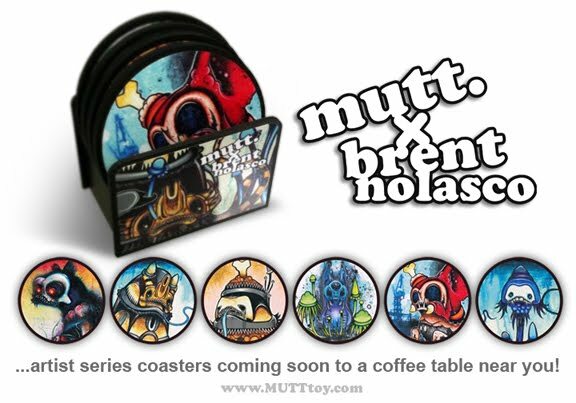 The Frank Kozik X Muttpop collaboration continues! Ocran Ocinatas (Narco Satanico backwards) is the official follow-up to the long sold out El Brujo Narco Satanico Tequila by Frank Kozik. This super detailed figure comes with a removable poncho, rotating head, tons of tattoos, and the menacing glare of blood-red eyeballs! Retail $80, drop us a line if you like this one. This is my favorite Tequila colorway EVER! Created for the sole purpose of serving the Evil Gunryu Empire, Celsius was stolen by the S3UCK team, a small renegade squad who fights for justice and freedom led by Mr. Censored. Now fully aware of the evil doings of the empire, Celsius vowed to spread the message that co-existence is the way. Designed Spencer & Stephen Ong (Rotobox). 7" tall. Accessories: 2 guns, 1 backpack, a pair of wings, and a mini comic. Price will be $80. You can find our current stock of Celsius figures here. Tyler says the artists involved are Brent Nolasco (obviously), MAD, Project Detonate & Matthew Ryan Sharp. There may be more, I don't know. I am cobbling together info from different sources, including this SpankyStokes post. 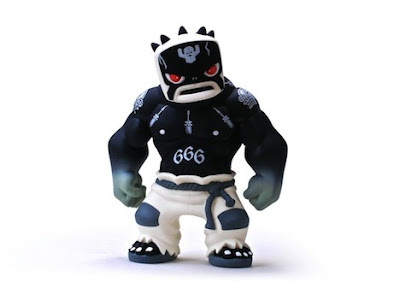 Toystreet: Designer toy street fair in NYC April 2nd! ToyStreet is a new event by Cookies -n- Cream that will provide opportunities for toy collectors, artists and vendors alike to unite in a unique experience where they can buy, sell and trade designer toys and other related merchandise such as art, clothing, handcrafted goods, sneakers etc. ToyStreet will also include live painting and music performances by different artists. The launch event will take place here in New York City on April 2nd, 2010 (Good Friday) and will run from 4pm - 9pm. 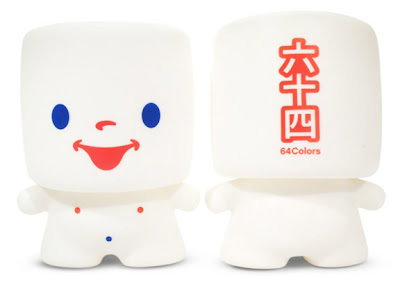 The location for the event is 268 Mulberry Street between Prince St & Houston St.
coarse unveils the global retail version of their 'false friends' series, a set of two original vinyl statues. This release incorporates 'paw!' and 'noop' as they continue their fragile friendship. The coarse artists once again display the depth of the brand, bringing about a perfect balance between subtle pastel colors, refined textures and solid forms. This merging together of contrasting ideas and styles has given coarse its definition, and has gained international acclaim in recent years. This year coarse will roll out its cross over project with Ashley Wood, display its works in Paris, Chicago and Tokyo as well as disclosing several new releases. This chapter sees noop and paw! awaken under the morning sun over the elastomer. Everything seems to be peaceful and pristine, and the unassuming pair enjoy their time together in the blissful warmth. A twist in the narration, however, suggests that life would not always be this easy, and that perhaps they are part of bigger system, a system with other intentions for them. The young noop and paw! duo come in a thriving yellow sunrise version, nurtured in protective sponge. They are packed in a lifesize paw! and noop face box, enclosed with a clear sleeve with an attached monkey rabbit nose. In stores worldwide February 2010. 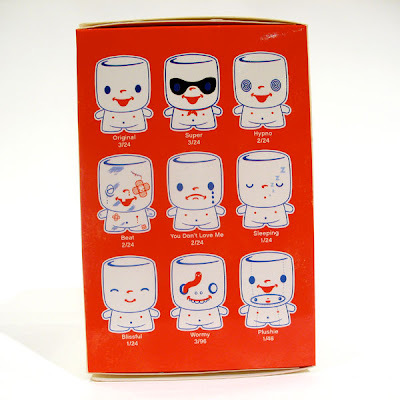 In stock now: 3.5" blind boxed Marshall Mashumaro figures by 64 Colors! $10.95 each, 19 possible variants (16 pictured variants & 3 mystery). 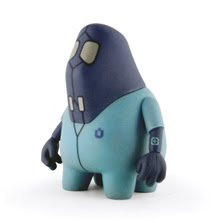 A Squibbles Ink x Rotofugi production. from top to bottom, they are Tran, Raj & Axl. A steal for under $20 each. Check out more from OsirisOrion here. He just had his first solo show, video will be posted soon. "For the next week, we would like to step forward to help raise money for the Haiti Relief Fund through the American Red Cross. For every SkullyBoom SB1 Pre-order, we will donate $10 to the American Red Cross. The SB1 is scheduled to start production at the end of this month, and we are still offering the $29.99 pre-order pricing. There has never been a better time to nab an SB1 and hopefully save a life in Haiti." Poster Cause has released 12 new posters recently, with 100% of profits going to Doctors Without Borders. The 1 new artists are Burgerman, Jurevicius, Serge Seidlitz, Sergio Mora, Steve Simpson, Nora Krug, Joe Iurato, Neubau, Massimo Vignelli, Build, Conor & David and a new print by eBoy. 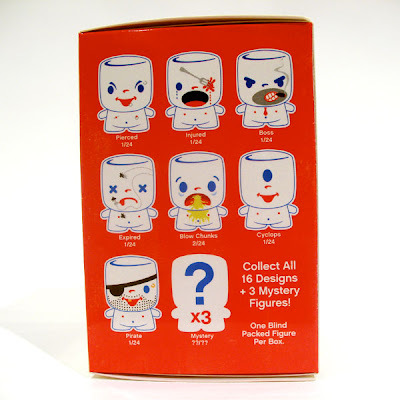 Over the past couple months there's been a lot of press about Kidrobot. Rule changes, company policies and some writing that their product line is growing a bit long in the tooth. It's par for the course when you are at the top of the pile- there will always be detractors & critics. Well, I've seen some of the upcoming releases and I have to say that if you feel KR's offerings had grown a bit stale, you're going to be pleasantly surprised in 2010. 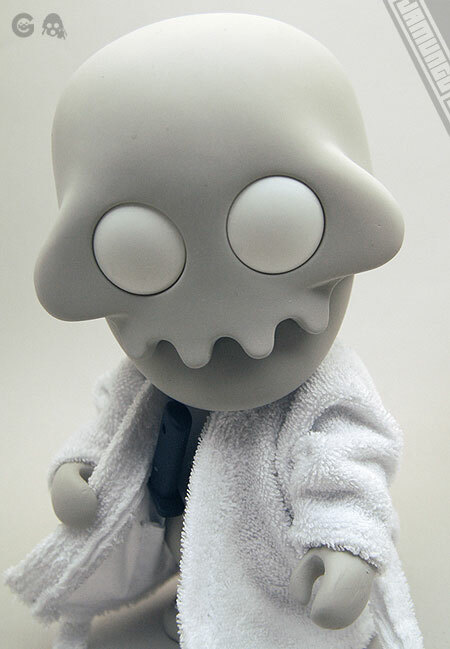 The Dunny Fatale series is beautiful, and if you need proof you need look no further than the fact that KR has sold out of them. 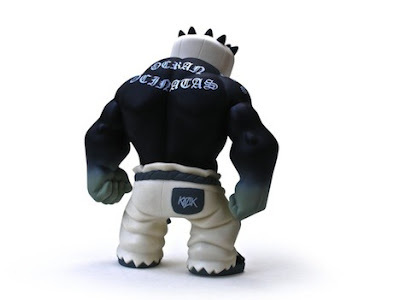 The NEXT Dunny series after Fatale might be my favorite Dunny series ever, and KR just dropped another email on us retailers with some sneak peeks at future series. WOW! 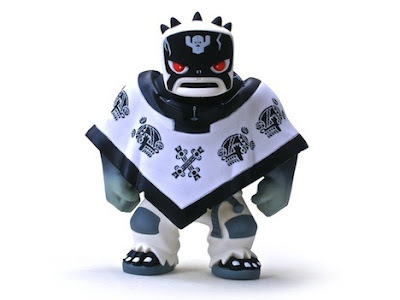 Big-name artists with cool-looking mini figures in the artists' signature styles... I'm a little fuzzy on what I can and cannot reveal in public, so I'm not gonna post any details... but the intention of the above rambling paragraph is just to let you know that it is obvious to me that they are successfully trying to step up their game. It's always good to stay hungry and to be challenged. 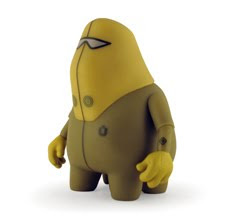 That is true for an individual as well as a big company like Kidrobot. As a follow up to the widely successful Wood Grain Style Qee Collection, Toy2R continues to pursue perfection in developing various natural finishes (click on image to zoom in!). 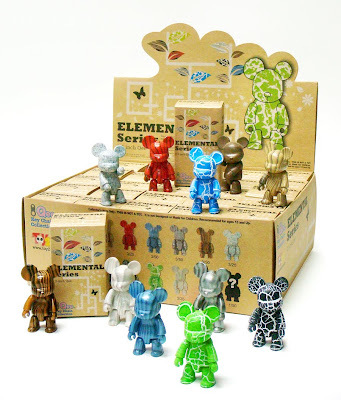 Paying tribute to the living force of nature Toy2R presents the first series of Elemental Qees based on natural resources. These elements balance each other through opposites: water quenches fire, fire boils water, earth contains air, air erodes earth. From this first series, the Elementals, Stone and Wood, represent your Qee guardians and protectors. Cherish these forces as they bring you luck and happiness sharing the living spirit of nature. Dropping in February, this 25 piece assortment comes blindboxed and includes patented keychain attachment. Stay up to date with the Qeevolution at www.toy2rusa.com, on Twitter @QEEBEAR or at the Toy2RUSA Facebook Fan Page. 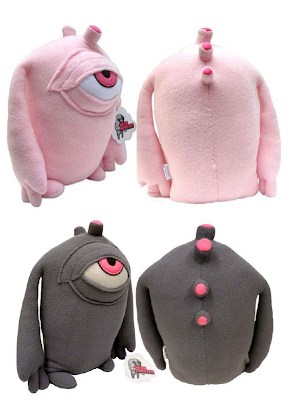 Neon Monster kicks off 2010 with their new plush release of Mitch, who is a "depressive aesthete". Aren't we all? 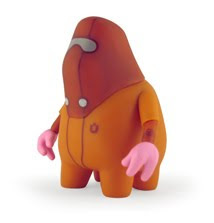 Mitch is 14 inches tall, made of 100% recycled fleece, kid-safe & comes in the 2 colorways seen above. 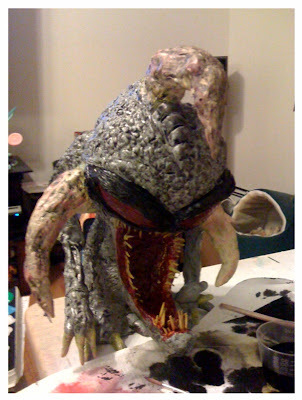 Click thru to the Neon Monster website or blog for more info on Mitch. Click on image above for a close-up.